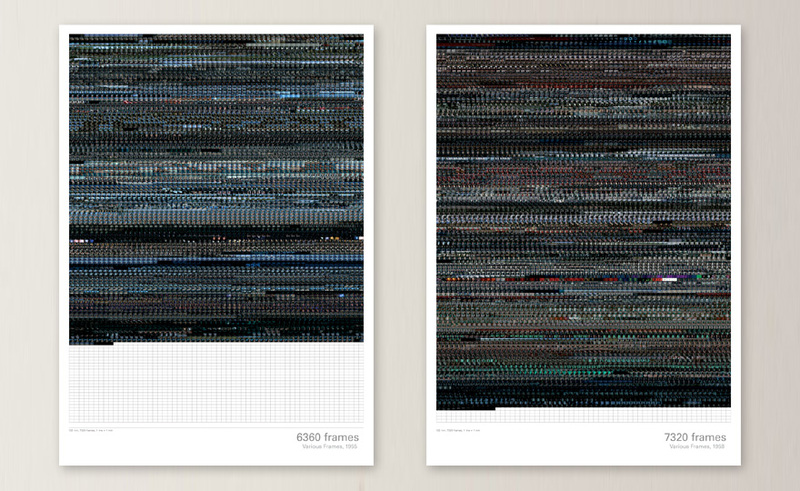 This work is an attempt to display film sequences in a well-structured and descriptive way. 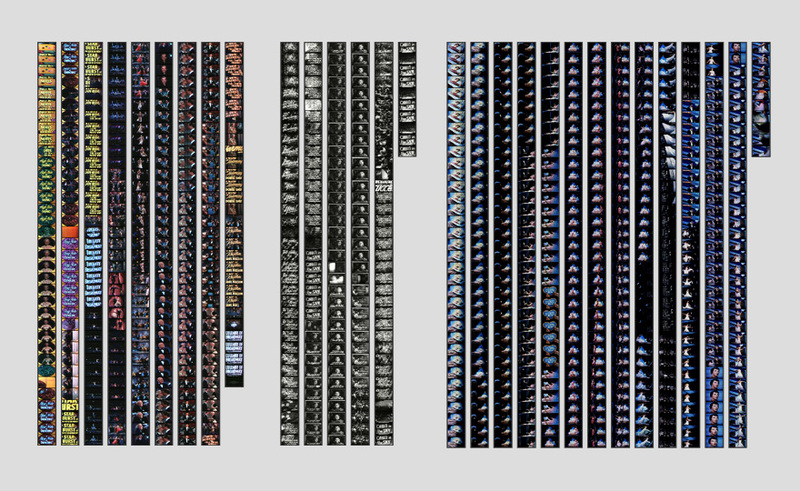 With the help of an application, the single frames of a film sequence are extracted and arranged side by side. 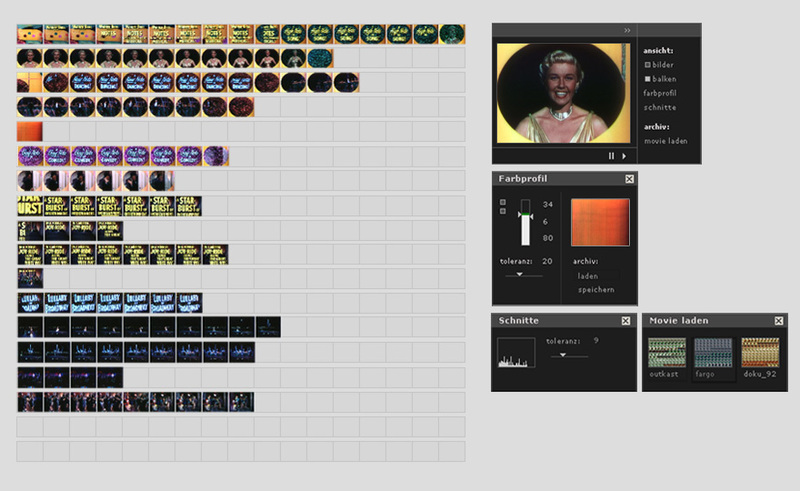 In a further step, the colour values of each frame are analyzed and stored in a simplified colour profile. 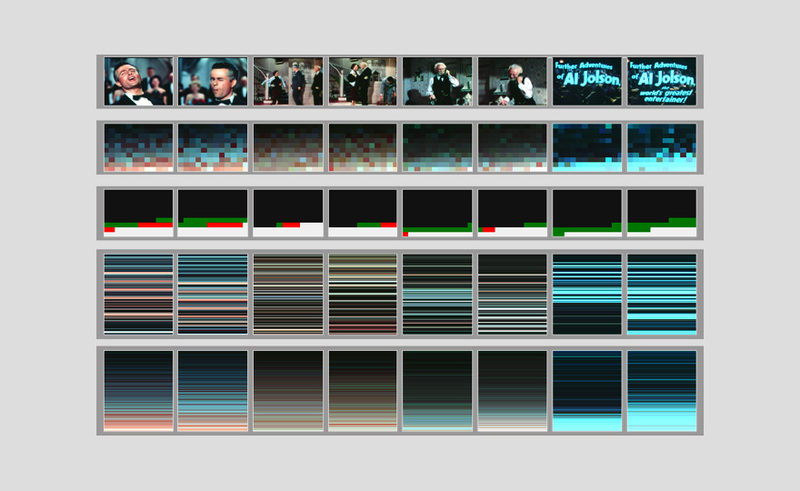 In this way it becomes possible to search for particular colour profiles in a film sequence or to change the order of the single frames depending on a colour profile.